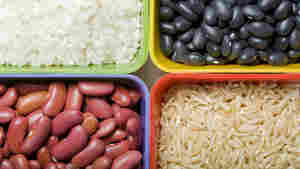 May 3, 2012  Rice and beans is a cultural icon in many parts of the world. It's pretty healthy and relatively cheap. It may keep people from starving, as TV personality Sean Hannity suggests, but it doesn't have all the nutrients a body needs for life.